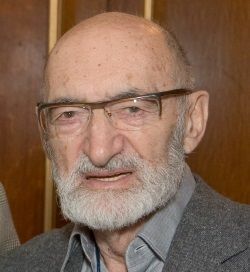 Dr. Henry Morgentaler, 1975 American Humanist Association Humanist of the Year, signer of Humanist Manifesto II (1973) as well as being the first President of the Humanist Association of Canada, died Wednesday at age 90. He profoundly changed Canada by challenging and eventually winning against anti-abortion laws. Morgentaler, risking his career, safety, and personal freedom, used Humanist principles in a way that helped women who needed their rights protected. This entry was posted in Essays, Humanist Movement, Intro to Humanism, People and tagged American Humanist Association, Canada, civil rights, Dr. Henry Morgentaler, freedom, Humanist Association of Canada, Humanist Manifesto II, Humanist of the Year, pro-choice, women's reproductive rights on May 30, 2013 by Doug. 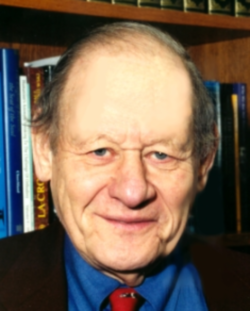 If you talk to older Humanists who have been part of the movement for a long time and ask who has done much in advancing secular humanism in the United States many people will mention Paul Kurtz. His energy and one could say his ego helped propel Humanism into the mainstream in the period before the Internet and social media. Rightly or wrongly he had a vision for secular humanism and due to his tireless work we have the movement we have today. Dr. Kurtz passed away on October 20th, 2012 at the age of 86. This entry was posted in Humanist Movement, Intro to Humanism, People and tagged American Humanist Association, Center for Inquiry, Council for Secular Humanism, Dr. Paul Kurtz, Humanist Manifesto II, pioneer, secular humanism, skepticism on October 24, 2012 by Doug. 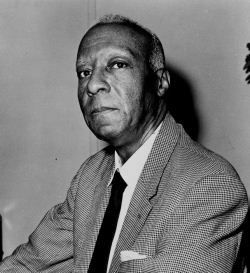 Asa Philip Randolph (April 15, 1889 – May 16, 1979) was a leader in the African American civil-rights movement, and the American labor movement. He organized marches on Washington DC that led to integration in war industries during World War II, integration in the armed forces at the end of the 1940’s, and the 1964 Civil Rights Act. He was named Humanist of the Year in 1970 by the American Humanist Association and he signed on to the Humanist Manifesto II in 1973. This entry was posted in Essays, Humanist Movement, Intro to Humanism, People and tagged A. Philip Randolph, African American, American Humanist Association, civil rights, Humanist Manifesto II, Humanist of the Year, labor, pioneer, unions on August 15, 2012 by Doug.